On April 16, 2013, with sponsorship from the Wisconsin government, UCCTC organized and co-hosted the “China-Wisconsin Clean Water Forum” in Beijing. 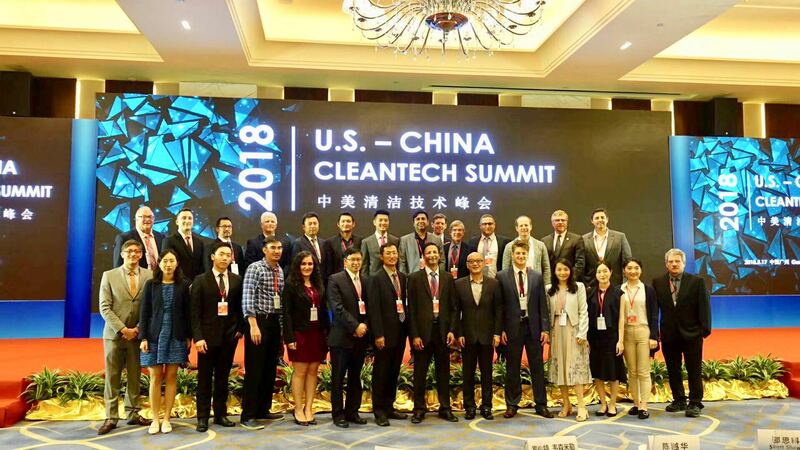 The forum’s other co-hosts were the Wisconsin Economic Development Corporation (WEDC), the Wisconsin-based Water Council and the China GreenTech Innitiative. Wisconsin governor Scott Walker was in attendance to deliver a presentation on how China can cooperate with international partners to address its water issues. The conference brought together leading scholars, policy-makers and business organizations within the water industry throughout China and Wisconsin. In an effort to better meet the clean water market demand in China, the UCCTC also invited Chinese investment institutions to explore possible investment in Wisconsin’s emerging water technologies. The forum proved an overwhelming success with relationships established that resulted in three partnerships with the governors of Hebei, Heilongjiang and Fujian provinces. Wisconsin is uniquely positioned to help China in this industry. The state is home to the only school of freshwater science in the United States (University of Wisconsin Milwaukee) and has five of the world’s largest water technology companies operating within it https://www.acheterviagrafr24.com/prix-du-viagra/ boundaries. In addition, there are 38 water technology companies headquartered in the state of Wisconsin, including industry leaders A.O. Smith, Badger Meter and Kohler. Using its extensive network, UCCTC will continuously assist the Wisconsin water companies to expand their market opportunities in China in the future.